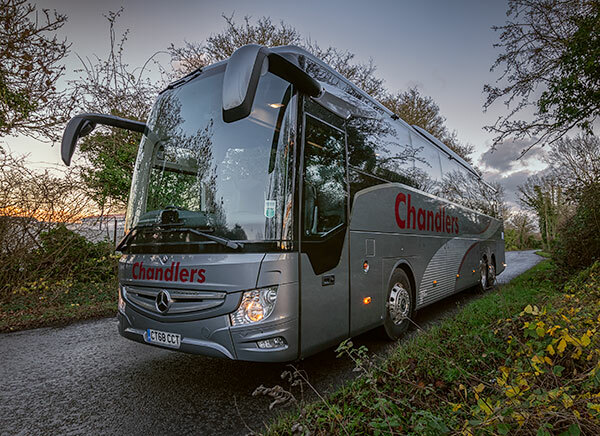 Chandlers Coach Travel are situated in Westbury, Wiltshire with easy access to all major routes including M4, M3 & M5. 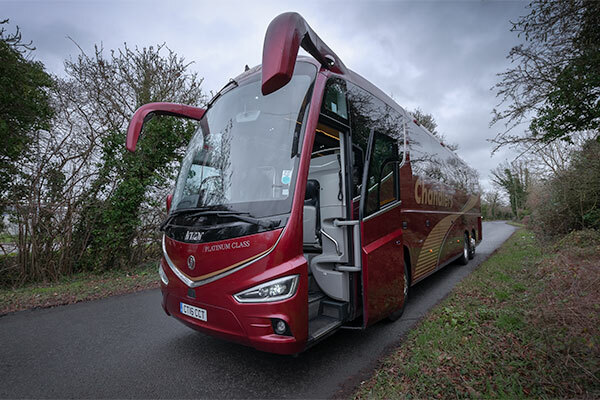 We are one of the leading coach operators in Wiltshire, offering vehicles with 16, 46, 49, 53, 57 & 70 seats, which include the very latest facility vehicles with extra legroom and luggage space. Other facilities include hot drinks, fridge, toilet/washroom, double glazing, air suspension, air conditioning, DVD player and public address system. Chandlers have a team of experienced staff who work with care and professionalism to ensure the customer receives the very best standard of service at all times. To book your coach please complete the form below or call us on 01373 824500.